FRESNO, California (KFSN) -- Adalberto Carrillo Lara is accused of killing three people after a crash near Hanford last week. In his arraignment on Monday, Lara pleaded not guilty. The deadly crash happened on the night of March 27th. Kyan Wimbley, 13, and his father, 55-year-old Alphonso Wimbley, died at the scene while 44-year-old Kristen Wimbley died later at the hospital. They were on their way back from Kyan's basketball practice in Fresno. At around 8:30 p.m. they were hit by a truck at Highway 43 and Idaho Avenue. Kyan Wimbley, 13, and his father, 55-year-old Alphonso Wimbley, died at the scene while 44-year-old Krsiten Wimbley died later at the hospital. 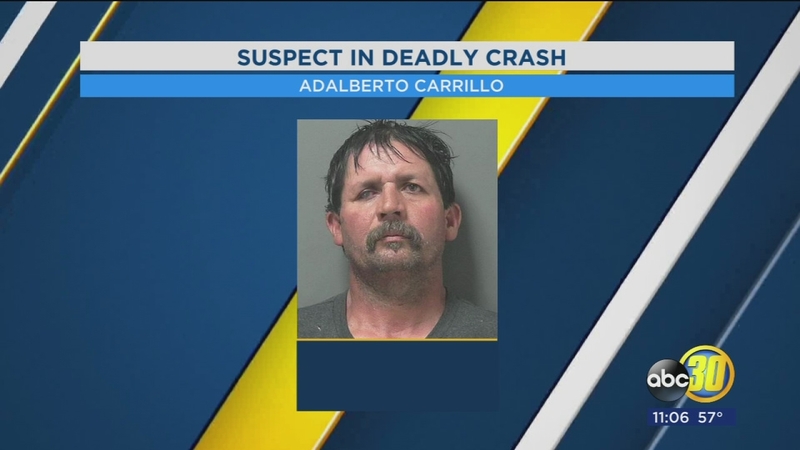 The California Highway Patrol said the driver of the pickup, 42-year-old Adalberto Carrillo, was drunk when he ran a stop sign, causing the crash. "The driver of the pickup, 1992 Chevy pickup, was eastbound on Idaho, failed to stop at the stop sign, then entered the intersection directly into the path of 2014 Chevy Equinox," said Officer John Tyler, Hanford CHP. Lara will be back in court on April 11th for a pretrial conference.